Kejriwal refused to furnish Bond to Secure Bail again: Judicial Custody extended 6th June. Aam Admi Party leader Arvind Kejriwal's Judicial Custody has been extended till 6th June after he refused to furnish bail bond for his bail once again today in Nitin Gadkari Defamation Case. Metropolitan Magistrate Gomati Minocha refused to modify the Order passed on May 21 which sent Kejriwal to Jail. 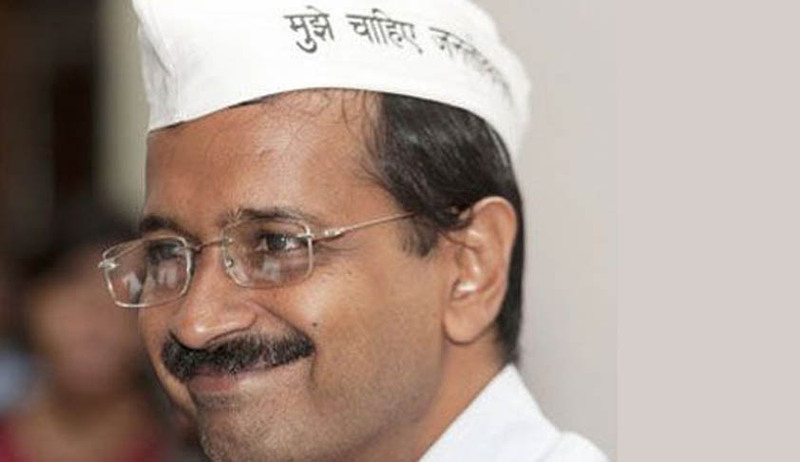 Court remanded the former Delhi Chief Minister to judicial custody..
On May 21 Kejriwal appeared before the Court of Metropolitan Magistrate obeying the the summons issued to him earlier, but had refused to furnish a bail bond of Rs. 10,000 which was the precondition for grant of bail. . He informed the Court that he was ready to give an undertaking that he would appear before the Court but not ready to furnish bail bond to secure bail. Read the Story here. Senior Advocate Shanti Bhushan, who appeared for Kejriwal, argued that in such cases where the accused has not been arrested, there was no requirement to furnish bail bond.The Court, however, said that Kejriwal was told to give a personal bond only and it was a legal procedure to furnish bond for bail. Court took a stand that Kejriwal, being an accused, should face trial following the legal procedure. The Court further observed that if other leaders of the party can furnish bond to secure bail, why Kejriwal cannot do it. Expressing its displeasure over the conduct of Kejriwal, Court observed that there is a lot of legal illiteracy in the country and even educated people do not know about legal proceedings as to what bail is and what is bond. Court asked Kejriwal to be sensible. Senior advocate Pinki Anand, who appeared for Nitin Gadkari, argued that the court the t Criminal Courts cannot review their Orders. Court told Kejriwal's lawyer that he can challenge its order if he wants to do so and the Court is not reviewing it. Kejriwal claimed that he had been victimized for speaking the truth and AamAadmi Party justified its stand not to pay for Kejriwal's bail bond and claimed that he had done no wrong.